ISLAMABAD: The Little Art on Thursday organised the opening event of the 7th season of ArtBeat – National Child Art Competitions & Exhibitions. 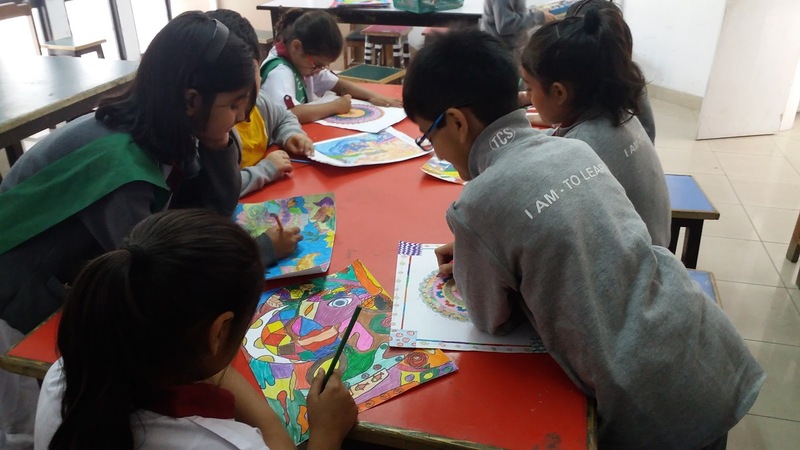 UNESCO has also partnered with The Little Art to engage children from 300 public schools across Pakistan. The ceremony to officially launch the national gallery exhibitions was organised at Islamabad’s Sir Syed Memorial Society. This year’s theme “My Likes, My Dreams – My City, My Village” was multifaceted to allow children to freely express their desires, dreams and ambitions and how they viewed their surrounding places including their cultures and traditions. In partnership with the UNESCO Girls Right to Education Programme the competition call reached to over 300 government schools in the most remote regions of Pakistan including Tharparkar (Mithi) in Sindh, Muzaffargarh in south Punjab, Mohmand Agency in FATA, Gilgit, Hunza and Nagar in Gilgit Baltistan, Ziarat and Jaffarabad in Balochistan, Kohistan in KP, Muzaffarabad, Neelum Valley and Lipa in Azad Jammu and Kashmir and rural Islamabad Capital Territory regions. Through this project, The Little Art conducted training for teachers on engaging children in learning through visual arts. They also learned how to host school-level exhibitions to engage community and making children learning a fun experience. This year, ArtBeat received artworks from more than 275 private and 300 public schools from across the country and nearly 25 community organisations also participated in the competition. The jury for this year consisted of esteemed painters, artists and teachers such as R M Naeem (artist and art educator), Sadaf Naeem (visual artist and art educator), Basir Mehmood (teacher, curator), Sumaira Jawad (Assistant Professor Punjab University), Wardah Naeem Bukhari (contemporary visual artist), Zile Batool (visual artist and Assistant Professor University of Management and Technology), Ali Azmat (Punjab University teacher and painter), Anila Zulfiqar (Punjab University teacher and painter). The guests at the ceremony included Dr Arjumand Faisel, curator of Gallery 6 and a leading name behind many significant art ventures in Pakistan, Aasim Akhtar, a well-known artist, art critic and curator along with other special guests from the UNESCO Pakistan Education team including Nyi Nyi Thaung and Sameer Luqman. Other guests of honour included Hannah Bricks from the Australian High Commission and friends and supporters from the community such as Sajjad Akram, sculptor and artist from Nukta Studios. They all addressed the audience and commended the project to reach out to children in Pakistan who have never had the chance to participate in such artistic initiatives.